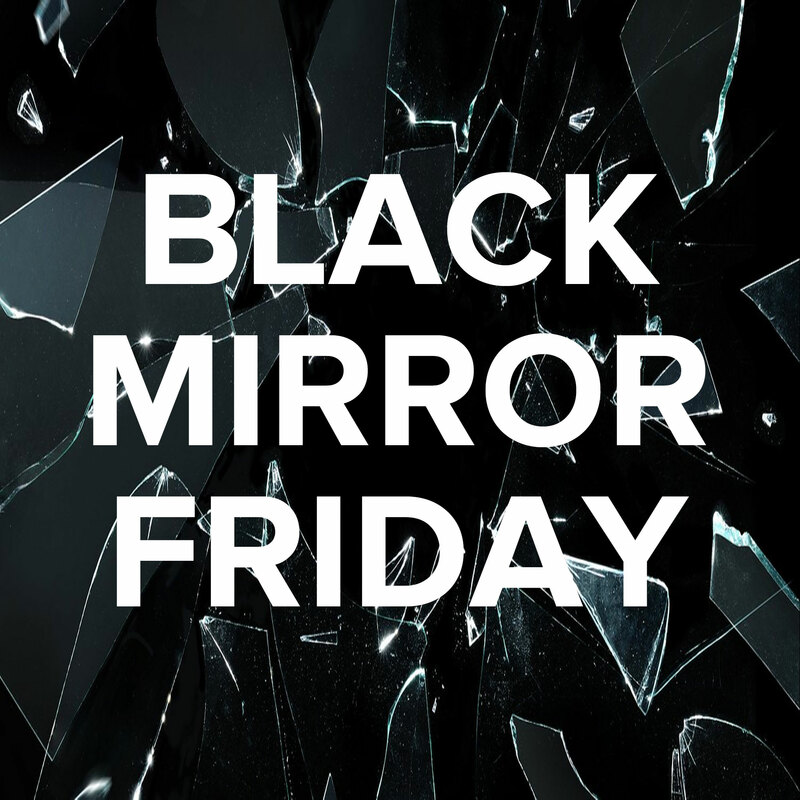 If you ever want to send me down a rabbit hole, just put me in front of YouTube and start showing me TV shows, commercials, and cartoons from the 1970s and 1980s. That was my golden age of television. So the idea of meeting TV stars from the 1970s and 1980s at the Mid-Atlantic Nostalgia Convention took me back to my childhood. Saturday mornings meant a bowl of cereal and hours of Scooby Doo, Wacky Racers, Speed Buggy, and Hong Kong Phooey, among others. After school, we were enraptured by the violence of Tom & Jerry and then soothed by black & white reruns of shows like I Love Lucy and Leave It to Beaver. If we were lucky, our parents would let us stay up late and watch the dynamic combination of Love Boat and Fantasy Island (the latter was always my favorite). I’m relatively new to fan conventions so when I heard that the Mid-Atlantic Nostalgia Convention was literally right up the road from me, I knew it was the right con for me. They were promising big name stars like Stefanie Powers and Robert Wagner (from Hart to Hart), Morgan Fairchild, Kristy McNichol, Ed Begley Jr., Barbara Eden, and four of the cast members from one of my all-time favorite shows, WKRP in Cincinnati. The event ran on a Thursday, Friday, and Saturday but one day is definitely enough for this convention. Upon walking in, you have to practically search for someone to actually take your money. But conventions are a lot of work and I wanted to make sure I was legit by paying the $20 admission fee. For $20, I got to walk through tables and tables of vendors selling a variety of entertainment-related items. We found vintage toys, glasses, posters, comic books, and a few more unique items like these repurposed vinyl record bowls. We did actually attend a panel on the History of Rankin/Bass, the masterful creators of Rudolph the Red-Nosed Reindeer and other stop motion classics. It turns out they made a lot more than Christmas specials but that’s probably what they’re most remember for. 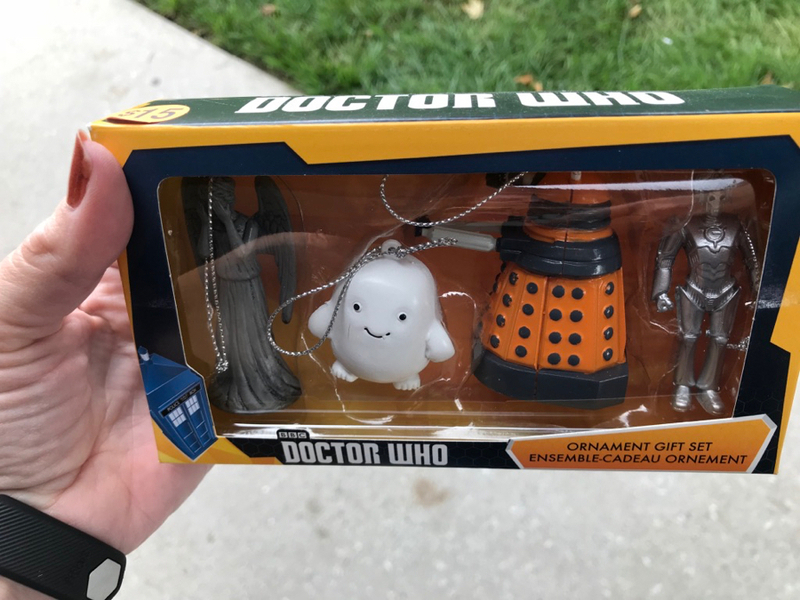 My sister and I fought over who would get to buy these Doctor Who Christmas ornaments. She won. It’s definitely an odd crowd at the convention. Admittedly, you have to skirt your way around a lot of gray hair and walkers but it’s worth it for two reasons: the celebrities and the fans. We made our way to the very small celebrity area which had varying amounts of crowds around the tables. Stefanie Powers and Robert Wagner were clearly the big draw (OMG, he’s 88 now and still looks great!). But there was a surprisingly big crowd for Kristy McNichol. I had almost forgotten that she co-starred in the coming-of-age flick with Tatum O’Neal, Little Darlings. I think that was one of those rated R movies I was supposed to watch but did anyway. I also had a chance to walk past Morgan Fairchild and had a total fangirl moment. There’s was no one at her table and I really wanted to meet her. Back in the 1970s, I thought she was one of the most beautiful women on television (along with Cheryl Ladd). And I had a chance to tell her that she still looks fantastic (you know, Hollywood fantastic) and I reminded her of one of my favorite shows of hers, Paper Dolls. She said she loved that show too and keeps trying to bring back a revival of it. I calmly walked away, went around the corner, and had a total freakout moment. You never know who will make you fangirl! 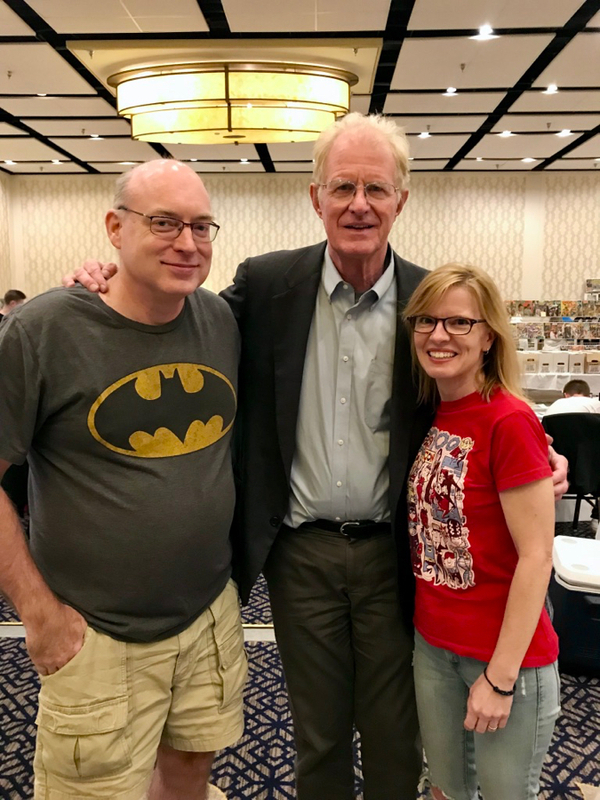 My sister and her husband posed with Ed Begley Jr. She had to stand on her tiptoes as he’s 6’4″! I didn’t get a picture with her but I’m kicking myself for not spending the $20 for the photo. In case you haven’t been to a fan convention, these celebrities are there for one reason only: the money. You pay to have your photo taken with them (either professionally with a backdrop) or selfie-style at their table (for a lesser fee). You can also get a variety of autographs as well. What that means is that it’s not good form to walk through the celebrity area and sneak out your iPhone to snap a picture. They’re trying to make a living too so give them their props. With that in mind, we beelined to the relatively small crowd for the WKRP in Cincinnati photo op. For just $110 (! 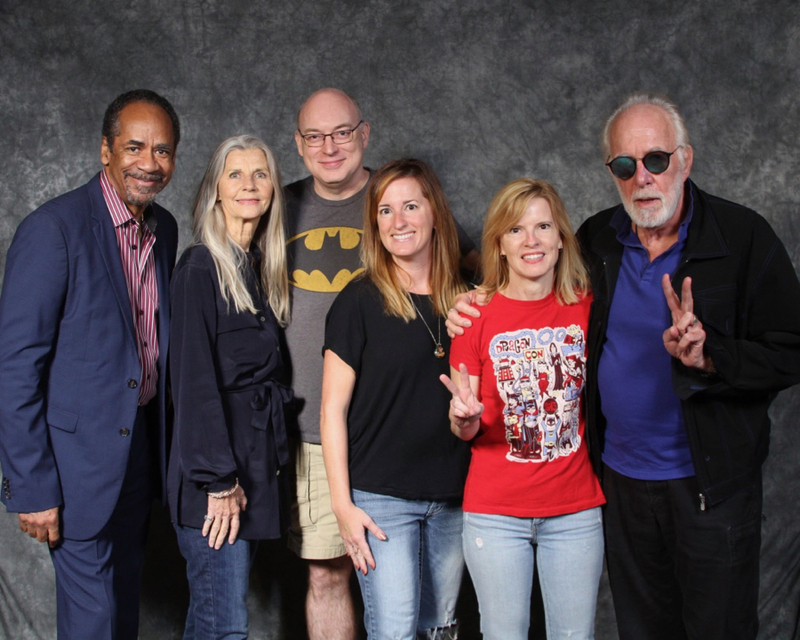 ), we got to take a professional group photo with Tim Reid (Venus Flytrap), Jan Smithers (Bailey Quarters), and Howard Hesseman (Dr. Johnny Fever). They ushered us in, posed us for a photo, and escorted us out. No real chit-chat but I did tell them how much I loved their show. The real joy came after the photo. We stood in line with another fan waiting for his picture as well. He looked about our age and was just as giddy to meet the cast. 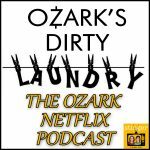 We reminisced about Herb Tarlek and Les Nessman and our favorite episodes. That’s what makes fan conventions worthwhile – finding those that share the same interests, passions, and in this case, memories. The Mid-Atlantic Nostalgia Convention is an annual fan convention in Baltimore, MD. See more photos from the 2018 convention.